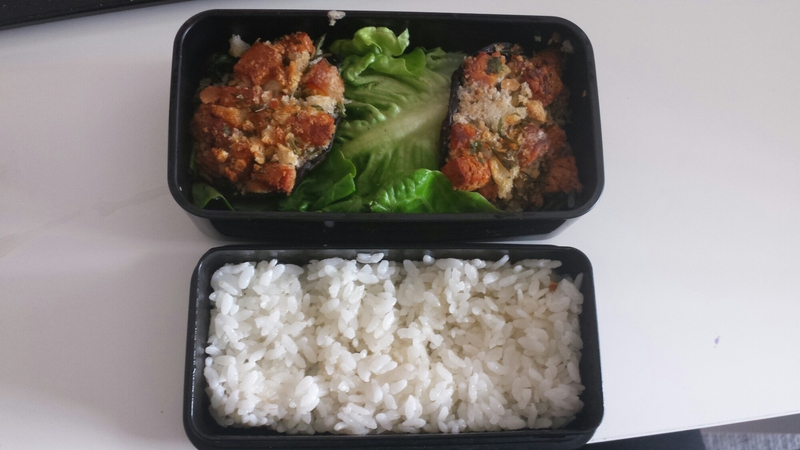 I was pressed for time this morning, so pulled together a bento using leftover stuffed mushrooms from earlier in the week, salad leaves and some of my frozen rice stash. This entry was posted in Food and tagged halloumi, leftovers, mushrooms, rice, vegetarian. Bookmark the permalink. Do you live in Japan? I lived in Shikoku for some years. Happy to be heading back, though! No, I don’t! I haven’t even visited Japan, but I have had lots of colleagues/clients/friends from there over the years and I love Japanese art and cuisine. Lucky you heading back there, I’m sure you’ll have a great experience.